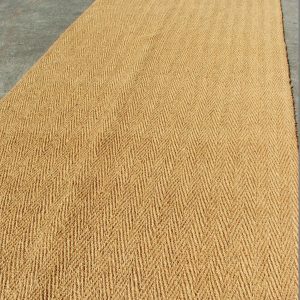 The coir matting is a 12 metre length roll woven in a herringbone pattern, ornate in appearance and reversible as it does not have a PVC backing. Using four-treadle weave, twill lines, formed on both sides of the fabric ensure a strong woven finished edge. 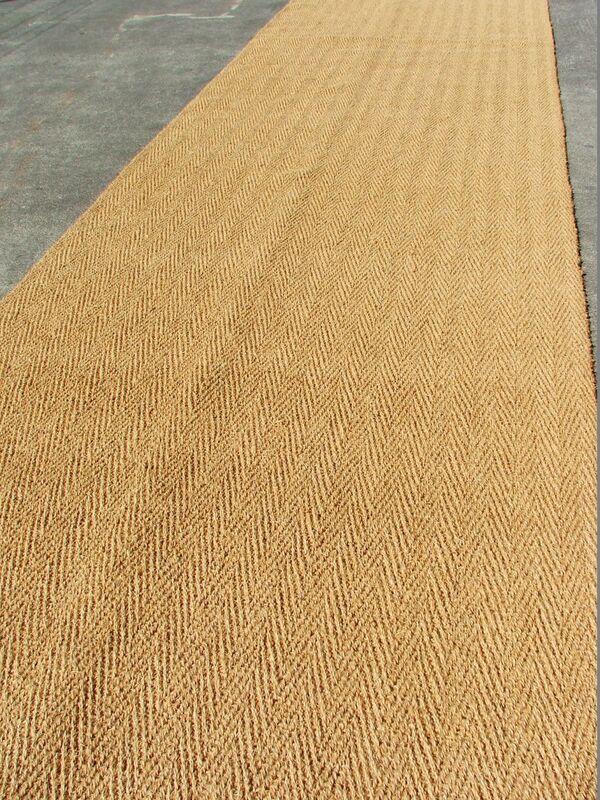 Anjengo & Vycome yarns are used for the production of our superior quality mats we import. 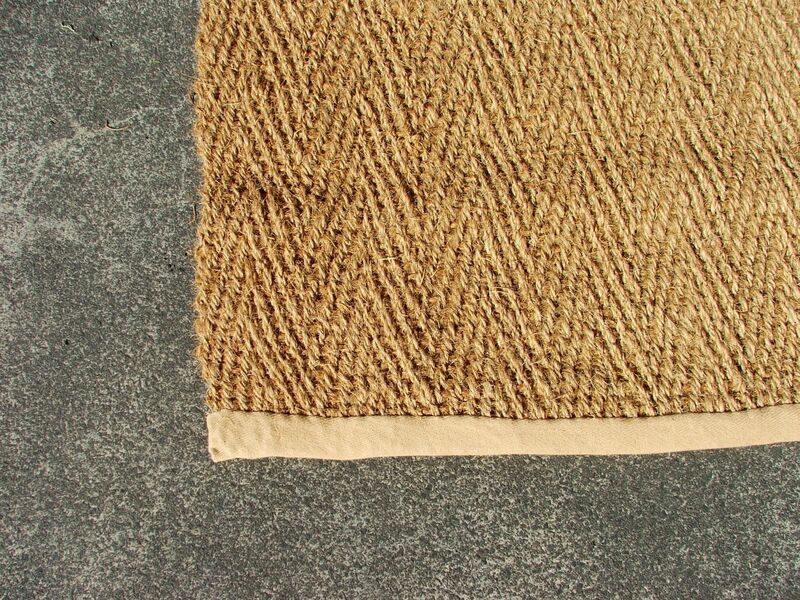 The coir fibres are tough but soft and have a bright natural colour, which conforms to the M4A4 standard. 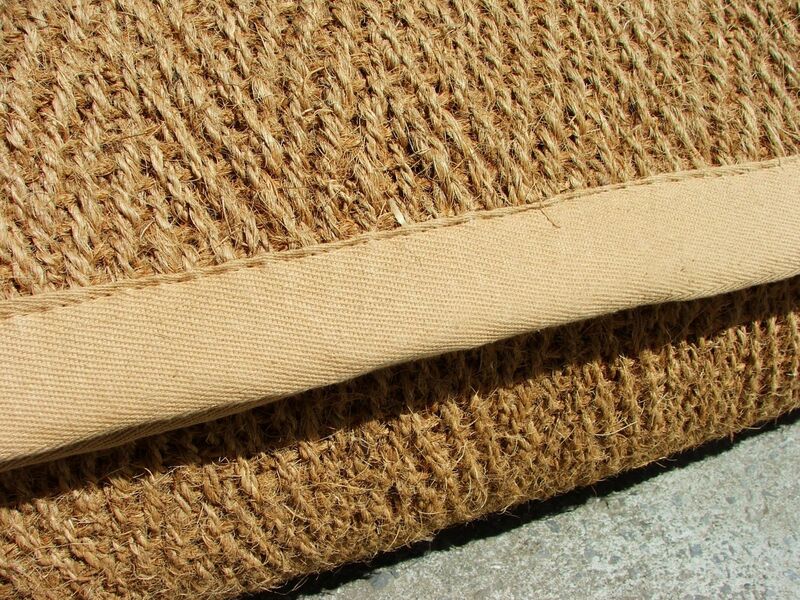 Each end of the mat is bound with a natural webbing and machine stitched for strength. 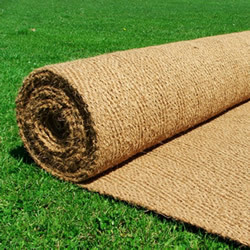 The advantage of buying rolls of coir is that you can cut to the length you desire, you can cut it with a box cutter to any size that your project requires. 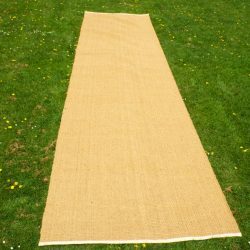 The mats make great temporary flooring for marquees, they can be laid out quickly to cover large areas, creating a superior surface to contract carpet. 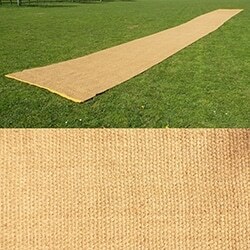 The natural fibre used comes from coconuts that are harvested in an environmentally friendly manner, the fibre is then used to make the marquee matting, providing comfortable alternative to other types of carpet or surface. 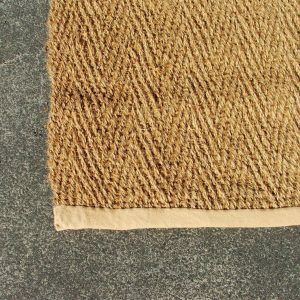 The natural fibres from the coconut husk lend themselves so well to creating resilient hard wearing but soft to the touch surfaces. 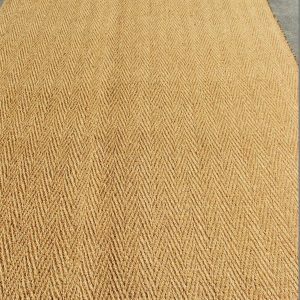 The texture is warmer than contract carpets it can be walked on with or without shoes, ideal for example, when the dancing starts in the marquee you have hired for your wedding or other outdoor events. The mats are a great solution for indoor event display stands and trade shows. 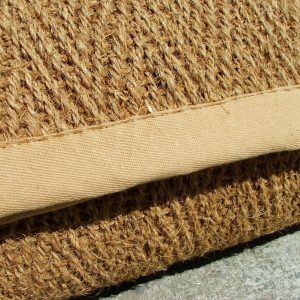 Because the natural fibres used are tough but also soft, the highest quality variations of rich golden brown fibres really add a touch of class to any event. 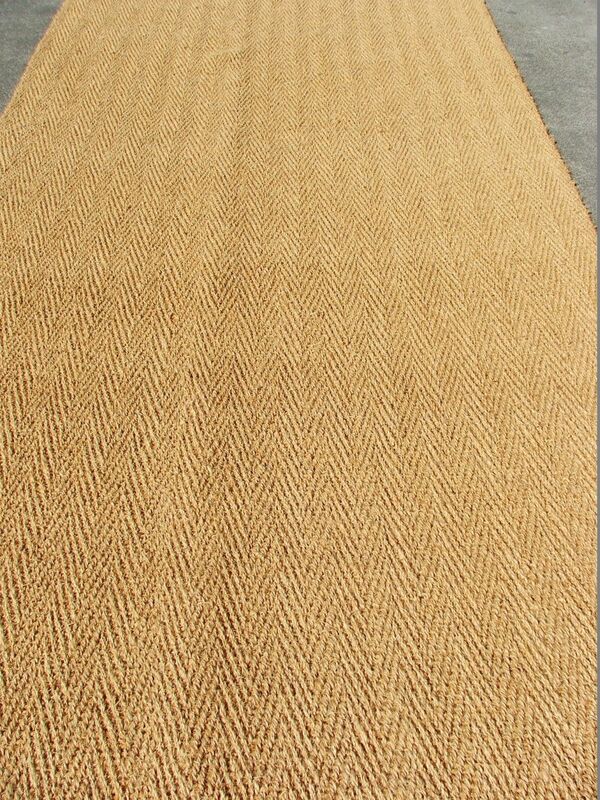 If you want to make an impressive entrance, coconut mats offer the perfect solution.